I did this cute little meme way back in September, and I decided it was time to update. :) Enjoy! Lesson plans! Actually, I've been really trying to work ahead of where I am now so I can finish my semester strong and launch into content I've done before (as a long-term sub). I'm also figuring out a unit plan for Maus, which I am teaching to my U.S. History kids next semester! I am way over the moon about this! I have definitely been on a big YA kick. I told Matt that I felt like I was "catching up" on all the titles everyone else has been reading in the last couple of years while I've been focusing on the classics. I am definitely enjoying my little excursions into YA, but I know that in another month or two, I'm going to want something more substantial. I'm already trying to decide what Austen to read in December...I think it might be Northanger Abbey, since I have read it in a very long time! I've been really hooked on The Walking Dead (can't wait for the episode on Sunday), as well as The Big Band Theory. I've also been watching some other shows when I catch them-Project Runway, Top Chef...I just don't have tons of TV watching time recently. And reruns are always a better choice when I'm grading. I have another tab open to Goodreads...I guess I'm looking at what to read next? I'm doing a lot of side research into some other aspects of WWII to make that a really amazing unit at the beginning of the semester. I know that there are a lot of kids who get really into the war units, so I'm trying to find some fun activities to help them learn the material. I think activities and other things are great alternatives to the days when I lecture. I'm also trying to find some more resources for teaching this graphic novel. Anyone done that before? Quite achy. My joints are hurting something fierce today! But emotionally-really good. Things have been going well at school-finally found that balance I needed! I know the kids are excited for break as well! Two whole weeks! My husband, my kitties, and the fish that entertain everyone. One of the dream classes I would like to teach, if I was allowed to teach whatever I wanted, would be a war literature class. There is something incredibly powerful in the literature focused in periods of brutality and violence that really speaks to me. I also think that war literature is incredibly profound and moving-especially for high school students. Many of my students haven't faced that kind of hardship and loss (Not all, but many), so it would be a great learning experience for them. And among the piles of books I would love to include in this class (titles like The Book Thief, The Things They Carried, Maus, All Quiet on the Western Front, 1776, Slaughterhouse-Five, Night, Birdsong, Johnny Got His Gun, The Diary of Anne Frank, and more...), I would include this new release by Ruta Sepetys. I bought this at the bidding of our media specialist during the second week of school at our school book fair. She told me she had heard wonderful things about it and thought that I might like it. So, I bought it, brought it home, and there it sat for a number of weeks until I was feeling restless one Friday evening. Home alone and needing a new book to read, I pulled it out of the pile, snuggled in bed, and began reading. Two hours later, I closed the back cover with a huge lump in my throat. This book...it wasn't what I expected. I was moved, immediately, by the passion and power of Lina's story. What happened to her and her family...I've never read about it before-not in high school and not in any of my college history classes. I never realized that people of her descent (Lithuanian) were sent away during WWII-to Siberia of all places-and by Stalin. We are so often consumed by the disgusting nature of Hitler and the Nazis that we forget the other dictator of the time. Lina's struggle to survive was so similar to what happened to the Jewish people during the Holocaust (both were sent to camps, shot down, starved, forced into labor, etc), and I was simply blown away. And it wasn't that this was just another book about the horrors and atrocities of WWII. I mean, I'm sure we've all read the stories of the camp survivors. We talk about it often in history classes so that we don't forget, but it is the stories like these, those that are less heard, that truly strike a chord. But what really makes this book powerful is the honesty and raw nature of the writing. As a young adult novel tackling some harsh and brutal themes, Sepetys does a masterful job of bringing humanity and life to a dark story. It was beautiful and moved me that night I read it. “November 20. Andrius's birthday. I had counted the days carefully. I wished him a happy birthday when I woke and thought about him while hauling logs during the day. At night, I sat by the light of the stove, reading Dombey and Son. Krasivaya. I still hadn't found the word. Maybe I'd find it if I jumped ahead. I flipped through some of the pages. A marking caught my eye. I leafed backward. Something was written in pencil in the margin of 278. Hello, Lina. You've gotten to page 278. That's pretty good! I gasped, then pretened I was engrossed in the book. I looked at Andrius's handwritting. I ran my finger over this elongated letters in my name. Were there more? I knew I should read onward. I couldn't wait. I turned though the pages carefully, scanning the margins. Are you really on page 300 or are you skipping ahead now? Dombey and Son is boring. Admit it. Are you maybe thinking of me? Since reading this (nearly a month ago), I have been trying to persuade some students to give it a chance. Many of them refuse, saying that books about war are boring and "unimportant." Their attitudes are the reason I want to teach war literature-to show that there is beauty in war, and to honor those who have fallen. I'm actually typing this late Saturday night, since I am still awake, and I felt like writing. That seems to be a rare combination, so I best take advantage of it. I've been reading quite a bit. I managed to read both Before I Fall and Hana by Lauren Oliver. I was excited to read both. I'm still a bit undecided on the Delirium series, but Hana was a short little novella. It was okay, not stellar, and left me feeling like I didn't really need to read it. I don't think it added much to the first two books. As for the first title, I've been meaning to read it since it came out. There were so many rave reviews...and I really LOVED it. It was definitely worth the wait! I also read Son by Lois Lowry. 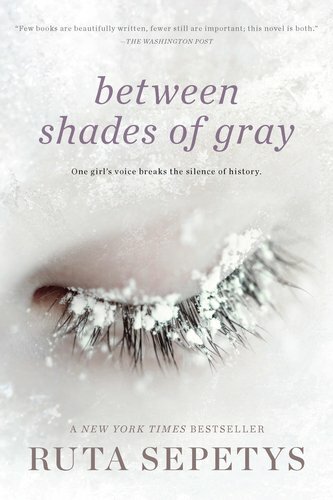 It is the fourth and final book in the Giver series, so I was really excited about it (I bought a copy when it came out). I really like the series as a whole, and I felt it gave a nice rounded feeling to the whole set that Messenger didn't. However, The Giver is by the far the best of the set and will remain a favorite book for always. Last night and this morning I plowed through Will Grayson Will Grayson by John Green and David Levithan. 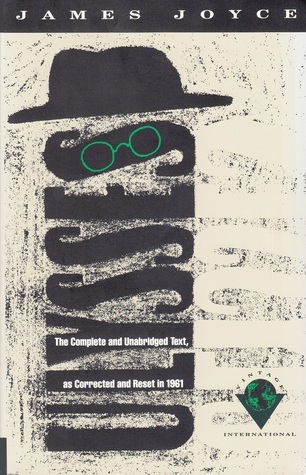 It was another book I had been meaning to read because I have read all of Green's other books (LOVE THEM), so why not. I finally picked up a copy on Friday while I was out shopping. It was yet another book that was worth the wait and lived up to the high standards Green as set for himself. It also makes me want to read more by Levithan, so that's good! There is also The Scarlet Letter sitting on my nightstand. I've been reading a few pages here and there in an effort to finish it, but I'm not in a rush. A very big part of me just wants to fly through the stacks of YA, fantasy, and other titles that I've been picking up over the last three years. And once those piles are gone, I can return my attention to the classics. I think, tentatively, I'm sticking with this plan for the rest of 2012. Come 2013, I think I'm going to refocus my efforts on finishing my list and project. Right now? All I want to do is escape into books, and these are providing that escape for me. Part of that is due to school stress, and some of it is more...but I can't explain that now (I will in the future). Weekly Wrap-up for November 18, 2012: Home Organizing and Bookshelf Questions. Sometimes it's hard to be a grown-up. You have no one else to get cranky at but yourself when things need to be taken care of around the house. Thankfully, I have a wonderful husband who helps out A LOT, but sometimes I get overwhelmed by the amount of cleaning, organizing, and other straightening up tasks I need to do. I think I push aside household chores for two reasons. One, I hate cleaning. And two, there is always grading and prep work to do. A very big part of me feels like my work obligations come before scrubbing out the fridge...know what I mean? And that doesn't mean we keep a disgustingly dirty apartment, because we don't, but merely that we live in a very disorganized fashion. Matt and I both hit our breaking points with the function of our apartment. We WERE looking to move elsewhere (I think I mentioned that on twitter). When we moved here two years ago, we were escaping a very shady apartment complex and thought this would be a better option. Well, we knew at the time it was a lot smaller than our previous apartment (by about 350 square feet or so), but we figured we could make it work. We have a lot of...crap and when we moved in, it was a matter of shoving it wherever it fit, including our storage area in the basement. And in the two years since, we've really just been dealing with the items we shoved away in the fast move into this place. So, we began looking for a new apartment, and a more expensive apartment, since we both have new jobs and hey, we could afford it. But after thinking about it long and hard, it didn't make sense for us to move. We decided to stay and save for a house, since that's what we really want. The deal is that we would change some things about our current living situation. We need to clear out the clutter, remove unwanted items to the trash or to Salvation Army, and upgrade some of our current "old school" furniture in attempts of living like grown-ups. We've started the process in our living room by upgrading our entertainment center and getting rid of a massive amount of clutter (when I say clutter, I'm referring to three months worth of mail stacked on a bookshelf-things like ads, newspapers, etc. WHY did we keep all that crap?). A couple weekends ago, we went and picked up the pieces we needed to finish our new entertainment center from Ikea. Matt finally had some time off and assembled the whole thing on Wednesday. I re-organized and re-alphabetized our movies and TV shows and voila, the apartment already looks a lot better (yes, everything on these shelves are DVDs or TV series). We also cleared out a lot of lingering items taking up residence under our coffee table and just tossed them-there were magazines, receipts, random pieces of paper, etc that just needed to go. Matt also reorganized all the wires associated with all our techy stuff and spent a lot of time wiping down dust, etc (I can't do that these days-aggravates my lungs too much). The result is that we are both insanely happy with the progress in our living room. The next goal is to get rid of our couch and upgrade. Our current couch belonged to my grandmother. It was probably made in the 60s or 70s...and it is the most hideous abomination of burnt orange plaid. Seriously. We're also working on moving some bookshelves around. 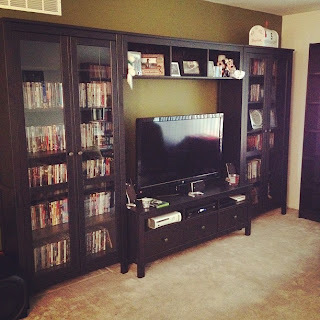 We originally had two open bookshelves on either side of our TV for our DVD collection that need a new home (they are against various open walls in the apartment). We're going to be focused on cleaning out out second bedroom "office" to make room for them. That involves the dismantling of a futon and moving Matt's guitars to other places on the walls. But I am excited to be able to put more books out on shelves instead of keeping them in boxes in the closet (where most of my 2,000 books live...). That brings me, in a very long, rambling, and a roundabout way to my real questions...about organizing my books. My current set-up is two big bookshelves and one skinny, narrow shelf. The two big shelves that are currently in our living room (on the opposite wall than our new entertainment center) currently house my classics (mainly alphabetized by author). The skinny shelf held a lot of hardcover titles-mainly YA (that shelf used to be in that far corner in the picture above, but doesn't fit anymore-it's going to be moved into the second bedroom with the additional two big shelves). I'm not sure how I want to organize all these books. I am keeping my classics out in the main room, but I don't know where to put some of the books...I have "collections" of books that I don't know what to do with (Shakespeare titles, my Penguin and Puffin clothbounds, AND all the new Penguin English Library editions). Do I keep them separate? Do I intermingle them with my other classics? WHAT WOULD YOU DO? I'm also debating what to do with the two new shelves I get to stock...I was thinking of making one devoted to YA and the other to sci-fi and fantasy? Or should I intermingle and alphabetize by author? Again, WHAT WOULD YOU DO? I hope you're all having a splendid November (And seriously, how is the month HALF OVER already? How is it Thanksgiving already? WHERE HAS THE TIME GONE?)! Happy Reading! Weekly Wrap-up for November 11, 2012: This and That. Our first quarter ended last week. It surprised me a bit. One minute I was under the stress of entering grades, and then I realized that hey, my first year in my real teaching job is a 1/4 over. It was a bit of an overwhelming feeling-that there was still a lot left to do, that it went by SO fast, that I need more time to teach my content to my classes, and that I need to relax and get some sleep. This last week has been an extension of that. At times I feel like I am rocking at everything...and at other times, I feel like I'm drowning. It's a toss up with what each day will bring, but I am pushing through. I know that the first quarter of school was the roughest...it was ten weeks straight without a day off for the kids. Now, the rest of the year is broken up by short weeks and breaks interspersed into our daily routine. One of the things I told myself last weekend is that I need to start setting aside time for myself. I have workaholic tendencies (courtesy of my dad, I suppose). I always feel like there is MORE that I could be doing. I get hyper-focused on tasks and before I know it, the clock says 6pm and I'm still at school. THEN, I bring things home and work until 9 or 10 at night. I can't keep up that pace, and I can't continue to give up my weekends, so I'm trying to turn that around-set some limits for myself so I don't burn out. Part of that is returning my reading. Reading is something I feel guilty about when I have papers to grade and lessons to plan, but it really calms me. Besides, I enjoy the time I spend with my books, so I need to find the time. In the last couple of weeks, I have definitely done that. While I am still on a big YA kick, I've been reading more...and I feel calmer having done so. As for my project...I'm not sure where it stands. Having read 150 titles from my 250 shows me that I can be dedicated. It has also changed my reading preferences significantly (I say this after being on my YA kick...I still prefer my classics, YA just holds my attention better and I can read MORE). But right now, the idea of solely focusing on the remaining titles makes me twitchy. I know that eventually I will finish, and I know that when I do have breaks from school I will shift my focus. Anyway, I'm going to continue to try to revive the blog. It is in a state of standstill, and that bothers me, so we'll see if I can bring it back to life. I hope everything is going okay with all of you. I'm going to ignore the three week silence by only saying that I've been busy with school and overwhelmed by everything else going on in my life. I'll talk more about that on Sunday. Anyway, I thought that the best way to jump back in was to tell you that yes, I have been reading. I've been on a big YA kick, since that seems to be the only thing that calms me down and can keep my attention. 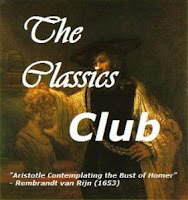 I do have plans to finish my list of classics, but it will probably be a much slower process.